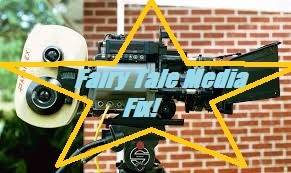 Fairy Tale Fandom: Fairy Tale Media Fix: Fractured Fairy Tales. For any of the young’uns out there, today we get a lesson in history. Today, we’re going to look at a cartoon that likely launched a million comical fairy tale adaptations: Jay Ward’s Fractured Fairy Tales. One of the best $5 bin DVDs I ever bought. For those who don’t know, Fractured Fairy Tales is one of the recurring features on the classic cartoon series The Adventures of Rocky and Bullwinkle. Rocky and Bullwinkle aired under various titles from 1959 to 1964. The show was known for its quality writing and wry humor (also puns. Many, many puns). Among the many things lampooned on the show were the Cold War, movie serials (the main Rocky and Bullwinkle segments), old-time melodrama (Dudley Do-Right), history (Peabody’s Improbable History), how-tos (Mister Know-It-All), poetry (Bullwinkle’s Poetry Corner), Aesop’s Fables (Aesop and Son) and of course, fairy tales. The show itself was the brainchild of Jay Ward and Alex Anderson. Though, much of the writing credit goes to head writer Bill Scott and a talented team of writers. However, that’s enough about Rocky and Bullwinkle in general. We are now on to Fractured Fairy Tales in specific. Fractured Fairy Tales was a segment that would air on the Rocky and Bullwinkle showing in practically every episode. 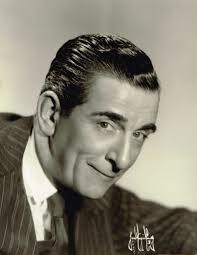 The segment featured fairy tales retold comically, featuring the voice narration of character actor Edward Everett Horton. I’m going to throw caution to the wind and use multiple YouTube links as examples. It may not be the best way regarding intellectual property, but they’ve been on YouTube forever and no one seems interested in them being taken down. The Fractured Fairy Tales cartoons had a tendency of using both obscure and famous fairy tales as their basis. Though, the more famous ones seemed to get used more often. Sometimes, the plots would be played mostly straight and the comedy would come from the dialogue. Other times, the plot would be significantly altered for comedic effect. In still others, they would simply take the story’s title, transform it into a pun and use it as the jumping off point to create a story. The ones that come immediately to mind for the latter are “Leaping Beauty” and “The Pied Piper”. Most interesting is how much mileage they manage to get out of a single story. Take “Little Red Riding Hood” for example. Out of that story they managed to get “Red Riding Hood”, “Little Fred Riding Hood” (which borrows elements of “Diamonds and Toads”) and my favorite of the three “Riding Hoods Anonymous”. So, it seems obvious that someone would reuse a tale as popular as “Little Red Riding Hood”. Well, what would you say if I told you they also reused an obscure tale like “The Magic Fish” multiple times? I can find one entitled “The Magic Fish”, one entitled “The Fisherman and the Mermaid” and one called “The Fisherman and his Wife”. Though, as is often the case with this show, they didn’t just make fun of fairy tales alone. For example, I found that most of the tales in season one poked fun at show business and the desire for fame and fortune. Some examples are their takes on “Pinocchio”, “Rumpelstiltskin” and another favorite of mine “Sleeping Beauty”. That wasn’t the limit to the show’s humor, though. It was elements like this that won over audiences that included both children and adults. I’ve already gone on for quite some time here and you probably already get the gist of it. However, with how many comedic takes on the old stories seem to pop up lately, it’s good to remember that it’s not a new development. Heck, Fractured Fairy Tales is probably hardly the first of its kind (though maybe the best remembered). Some elements from newer fairy tale parodies even seem to draw on the old Fractured Fairy Tales cartoons (like this one “Cutie and the Beast” that seems to presage Shrek). But it’s good to know that with these stories a little bit of humor can go and has gone a long way. Thank you so much for this! I loved these as a child! Thanks Adam. I really loved Edward Horton's narration's.